Bring Da Beat Back: Album Review: Monica "New Life"
Monica follows up her comeback album Still Standing with New Life, an album that, based on the picture painted by the label prior to its release, was supposed to be a rich, soulful effort filled with Missy Elliott-produced, Jazmine Sullivan-penned brilliance. Instead, New Life features tracks that vary both in substance & quality, due in part to her mismatch with writer/producer Rico Love. After an unnecessary intro that features Mary J. Blige in a speaking-only role, Mo rejoins Brandy, whose voice complements hers perfectly, on the incredible "It All Belongs To Me", a highly underrated collaboration that was well worth the wait. However, without dual diva power to hide his mediocre lyrics, Rico Love's composition "Daddy's Good Girl" (that title...) falls flat, despite Mo's valiant efforts. 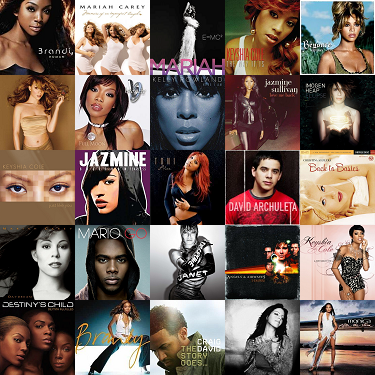 The album makes up ground a bit with the reggae-tinged "Man Who Has Everything" before heading into "Big Mistake", a signature Monica ballad in vocal styling, though not particularly well-written by Lamb. Substance is lacking from "Take A Chance", which includes an outstandingly lazy verse from Wale & notes that sounds almost off-key, if not terrible, from Monica. On the contrary, one of the album's highlights is found in the Polow Da Don-produced "Without You" & its intriguing structure, which leads nicely into one of Monica's career-standout songs "Until It's Gone". With the one-two-three-punch of Monica, Missy Elliott, & Jazmine Sullivan to back it up, the heartbreakingly gorgeous ballad features vocals for days! From Jermaine Dupri, who brought us "Love All Over Me", comes the disappointing "Amazing", which precedes "Cry", another gem from Jazmine Sullivan. Lastly, Polow brings us "Time To Move On", whose subject matter bothers me as a closer to New Life... but more so because, while solid, the track is no way to follow the sweeping brilliance that has come before it (see: "Until It's Gone", "Cry"). And for sanity's sake, we're just going to ignore that ridiculous outro. Now, my problem with New Life is certainly not Monica's vocals, because she certainly brings those. My issue lies in the fact that not only is there not enough Missy/Jazmine, but Polow doesn't bring his absolute best, JD doesn't bring his best, & Rico, who also has better material, & Monica just don't mix very well. 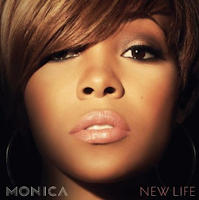 The label may have skimped down on material similar to "Anything (To Find You)" & "Until It's Gone" after they failed to make a splash on the charts, but 1) the dissolution of J Records & Monica's move to RCA prevented proper promotion for "Until It's Gone" to occur & 2) even with the addition of her "The Boy Is Mine" collaborator, Rico's work for Monica didn't perform any better. I say all of this from a place of love because I believe Monica's voice is so strong that it deserves the best material, like bonus track "Catch Me" & the aforementioned "Anything", & despite label politics, in R&B today, when you find your musical soulmates, there's no reason to stray too far from them ("Everything To Me", anyone?! ).